Pray that God gives wisdom and discernment to all Gabonese authorities to govern and lead the nation according to God’s plan. Pray for growth in Gabon Aglow. We proclaim salvation for the people of Gabon. We proclaim that the Gabonese know full relationship in Christ. Background: El Hadj Omar BONGO Ondimba – one of the longest-serving heads of state in the world – dominated the country’s political scene for four decades (1967-2009) following independence from France in 1960. President BONGO introduced a nominal multiparty system and a new constitution in the early 1990s. 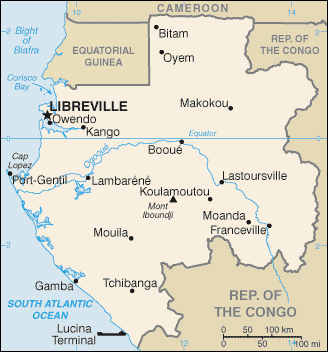 However, allegations of electoral fraud during local elections in 2002-03 and the presidential elections in 2005 exposed the weaknesses of formal political structures in Gabon. Following President BONGO’s death in 2009, new elections brought Ali BONGO Ondimba, son of the former president, to power. Despite constrained political conditions, Gabon’s small population, abundant natural resources, and considerable foreign support have helped make it one of the more prosperous and stable African countries. Ethnic Groups: Bantu tribes, including four major tribal groupings (Fang, Bapounou, Nzebi, Obamba); other Africans and Europeans, 154,000, including 10,700 French and 11,000 persons of dual nationality. je suis le coordinateur de l’intercession aglow gabon. voici quelques sujets de prière pour ma nation. prier pour le gouvernement qui trouve des solutions a l’éducation nationale qui est en gréve.